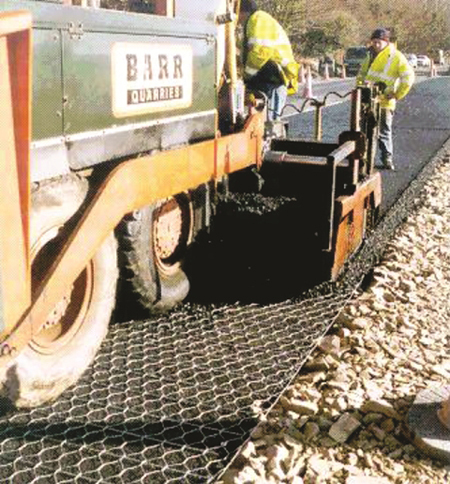 Road Mesh® is a single layer of high strength biaxial reinforcement used in road paving made of double twisted steel wire mesh zinc coated. Its 3-dimensional structure allows the road paving connection layers to link together, ensuring an interaction that permits an immediate and excellent transfer of the road paving load to the reinforcement. On each 16cm there is a bar placed transversal in the mesh. 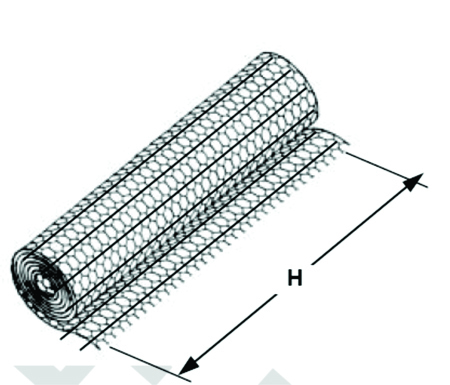 It is supplied in rolls with a length of 25m and a width of 2m or 4m. Mainly it is used in road maintenance, construction and paving of new roads, where the conditions are unfavorable and where the traditional solutions for construction or repairs cannot be applied.